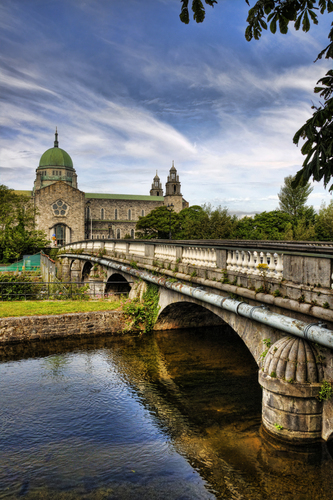 The Salmon Weir Bridge in Galway was constructed in 1818 and it was intended to link the old Gaol (on the site of the cathedral) with the courthouse, a distance of no more than two hundred yards! It was also to provide a connection with the main road to Connemara. The river was first drained between 1845 and 1849 and a regulating Weir was built.